Yesilonis, I., Cilliers, S., Hornung, E., Dombos, M. and Yarwood, S. A. 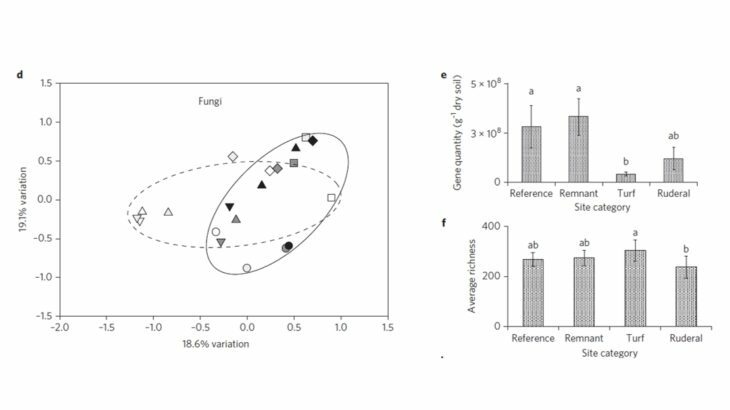 (2017), Urbanization erodes ectomycorrhizal fungal diversity and may cause microbial communities to converge. 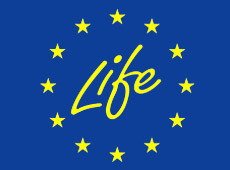 Nat Ecol Evol 1, 0123. 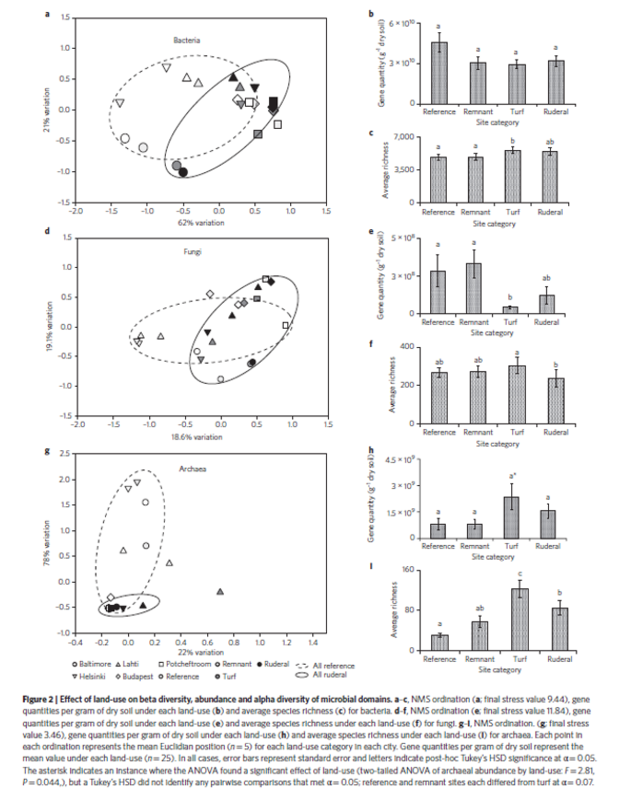 Urbanization alters the physicochemical environment, introduces non-native species and causes ecosystem characteristics to converge. 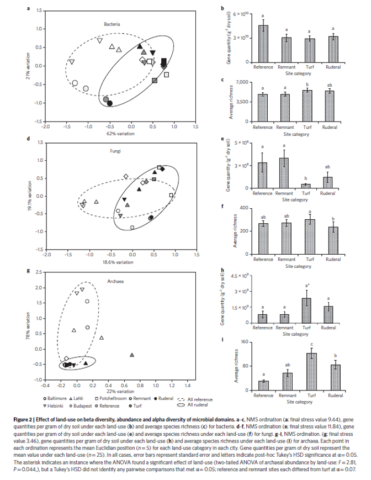 It has been speculated that these alterations contribute to loss of regional and global biodiversity, but so far most urban studies have assessed macro-organisms and reported mixed evidence for biodiversity loss. 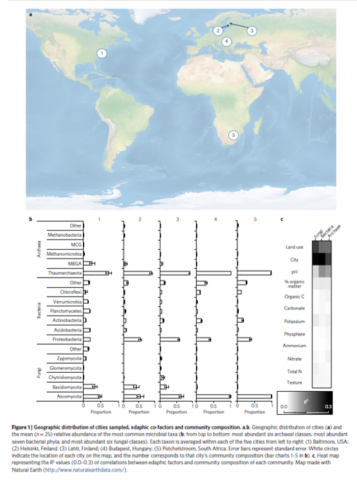 We studied five cities on three continents to assess the global convergence of urban soil microbial communities. 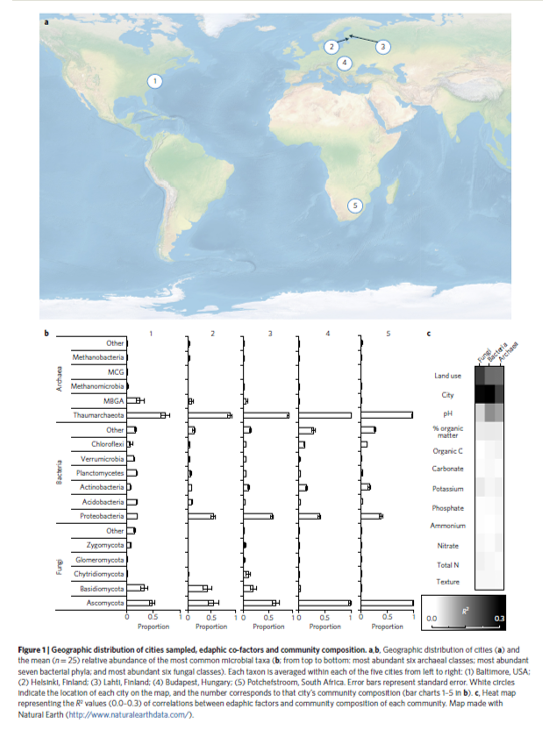 We determined the extent to which communities of bacteria, archaea and fungi are geographically distributed, and to what extent urbanization acts as a filter on species diversity. We discovered that microbial communities in general converge, but the response differed among microbial domains; soil archaeal communities showed the strongest convergence, followed by fungi, while soil bacterial communities did not converge. 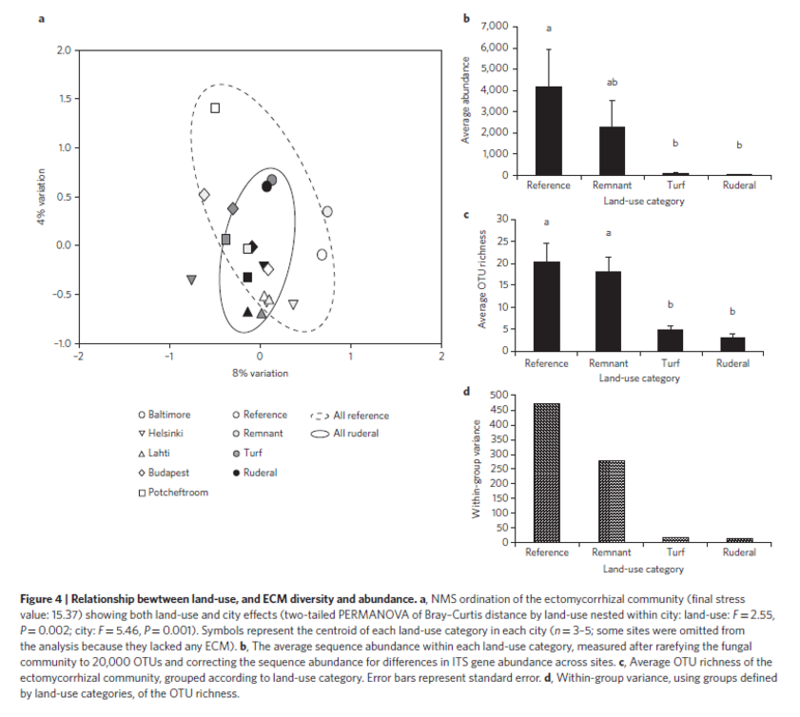 Our data suggest that urban soil archaeal and bacterial communities are not vulnerable to biodiversity loss, whereas urbanization may be contributing to the global diversity loss of ectomycorrhizal fungi. 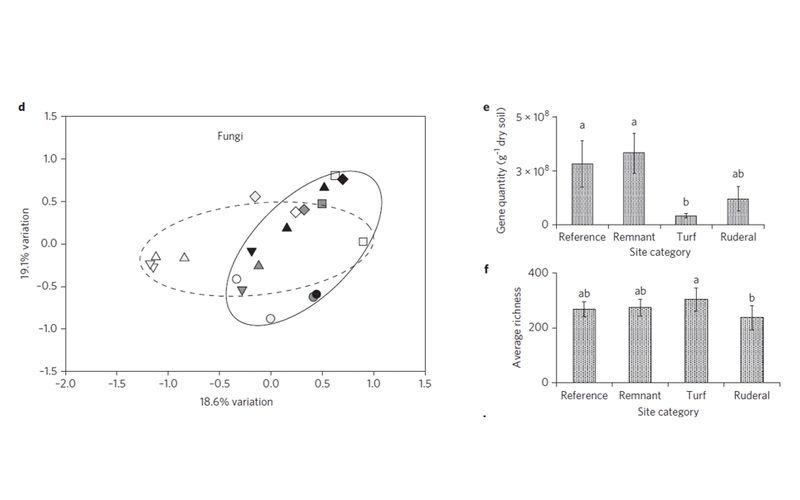 Ectomycorrhizae decreased in both abundance and species richness under turf and ruderal land-uses. 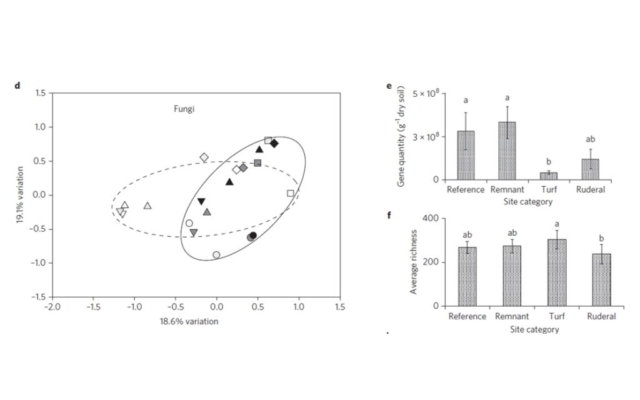 These data add to an emerging pattern of widespread suppression of ectomycorrhizal fungi by human land-uses that involve physical disruption of the soil, management of the plant community, or nutrient enrichment.